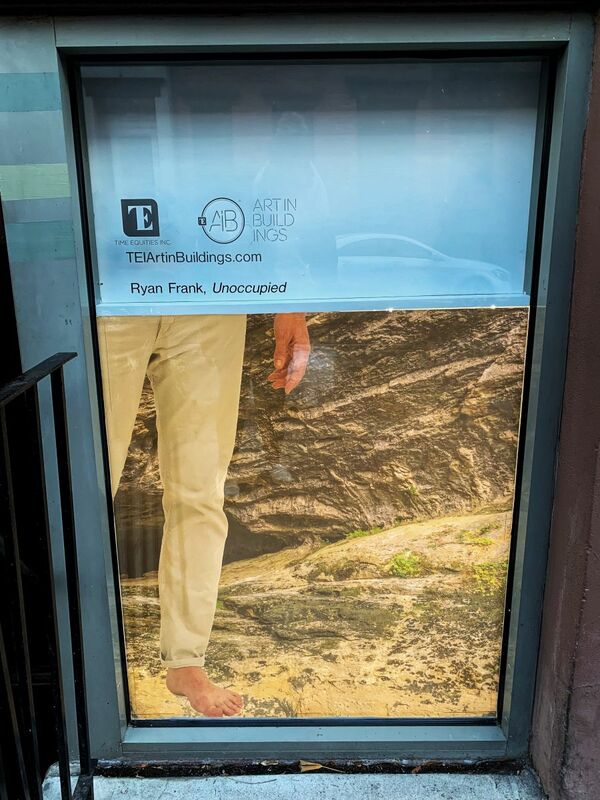 Time Equities Inc. Art-in-Buildings is pleased to announce the newest exhibition at the West 10th Window: Ryan Frank, Unoccupied. Ryan Frank's Unoccupied considers the physical space of the West 10th Window, the building in which it exists, the surrounding neighborhood, and conditions of inhabitation in Manhattan. 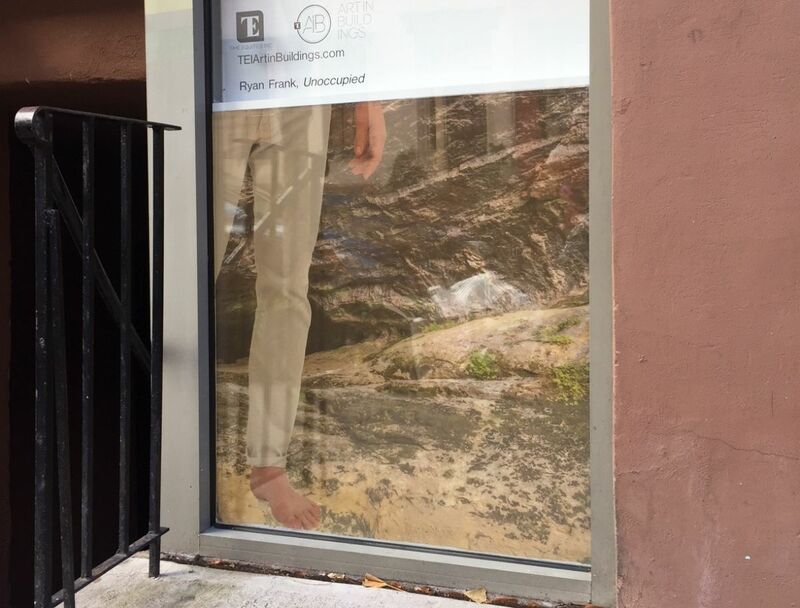 Creating a light box in the West 10th Window, Frank presents two back-lit photographs arranged perpendicularly on the two window fronts of the space. The image depicts the Grotte de Sarrazine in France, a site made famous by Gustave Courbet's painting of the same name. The figure in the foreground is life-size and serves as an anonymous presence in the space, putting figure, ground, and viewer into confrontation with one another, almost forcing passersby to consider their own body in relation to the still image. With a persistent and ever-growing affordable housing crisis haunting Manhattan and its environs, the question of space and its value has never been more exigent. The neighborhood in which the project is embedded - the West Village - is one of the most sought-after in the world, and yet is plagued by vacancy: empty store fronts, unoccupied homes, and disused spaces are, ironically, the result of the very desire that characterizes the area. Unoccupied considers how these spaces are allocated, what purpose they serve, who they invite and reject, and how access is determined. Next up at the West 10th Window: Negar Behbahani and Mollie Murphy.